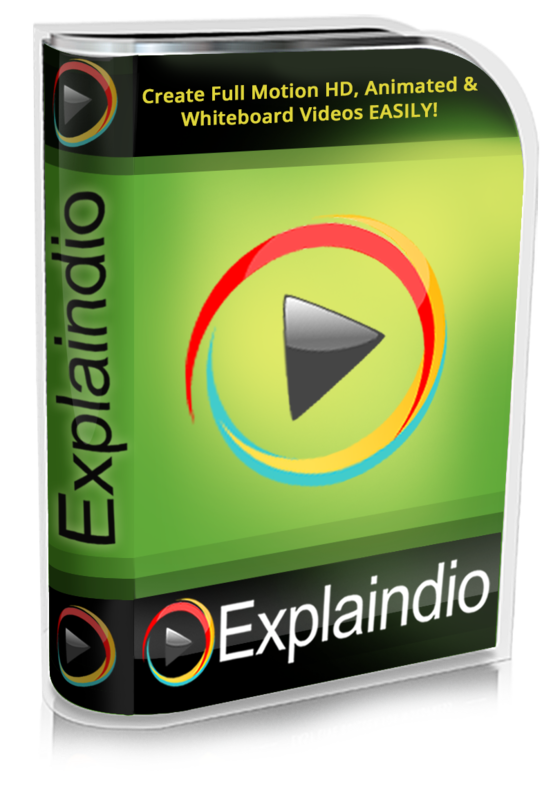 Explaindio Video Creator is an easy to use presentation video creator that is geared towards marketing and sales videos but could be used to create any kind of presentation video. I was convinced by the sales pitch that it would be very easy to use and I was particularly impressed by the white board features. It also looked to be an improvement over both VideoMakerFX and EasySketchPro two other programs that I bought and reviewed. Having now used Explaindio it is, in many ways, similar to VideoMakerFX and feels very much like an upgraded version of the same product with enhanced white board and other video features. If you purchase the program it comes with a whole bunch of extras, the most important of which is the content libraries including; graphics, fonts, music, backgrounds and templates. These are the things you'll rely on if your artistic skills are some what lacking. The claim is that almost anyone could buy this software, learn it fairly quickly and have a finished video in just a few clicks. On the surface I would say that's pretty accurate but I guarantee you won't be happy trying to shoe horn your sales pitch into a predefined template where you just fill in the blanks. To really make the most of this software you'll want to learn it inside out and become accustomed to mixing things up. You'll need to get familiar with the content library and templates so you can mix and match what's available and really create a video that achieves your goals. If you can get to that point you'll be very happy with your purchase. For the purpose of this review, I decided to take a narration track from an existing promotional video I created for my animated business explainer video service, Animation4Business, and see if I could create a white board presentation using only content I'd received with the product. Below is what I came up with. Obviously this video is very simple but it still took me a couple of days to create it along with plenty more than a few mouse clicks. What I discovered is that whilst Explaindio is easy to learn, the User Interface is lacking, the program has a very non-standard way of displaying scenes and previewing your animation is buggy and next to useless as a preview of the final video. Considering the number of program upgrades I've been sent since purchasing the product you'd think at least the bugs would be ironed out. Now I'm not about to take a dump on this software. It delivers on being easy to use and the potential is there to create some really outstanding presentation videos with the right amount of creativity. However I'll run through where it needs to improve. Over all the User Interface is well laid out. I was able to find everything and work out what most things do without so much as consulting a single tutorial. A good sign indeed. The problem I had is that every object you place into a scene is given it's own slide. In the image below you can see the second scene of my animation in the preview window at the bottom. It is complete with all the components in the scene. However in the timeline above each component is given its own slide. I don't understand why this is necessary other than it makes it easier to select objects in the scene? Each object is placed on a separate slide. In setting the timeline out like this it becomes unnecessarily long and you don't get a nice thumbnail showing you the entire scene (like you'd expect), making it hard at times to locate specific scenes. There's also no way to easily see how much time each scene takes. The only way is to add up the number of seconds, shown at the top of each slide in the scene takes. I found it very hard to match the length of each scene to the corresponding part of my narration track. Explaindio could really benefit from a timeline set out similar to how GoAnimate's timeline in their studio works. There's no need to give every prop it's own slide, just allow me to select things in the canvas editor, and when I do, the properties for that object should be displayed (as it is now). The only other UI issue I had was the lack of an undo button anywhere. Not even support for CTRL Z. Very few modern programs lack an undo option. At the very least you should always be able to undo the last action you did. I used a narration track that was one continuous recording from beginning to end. I simply uploaded it to the corresponding voice track in the audio settings. As the program's creators intended. Why then, whenever I previewed a scene, or the entire video thus far, did the audio continuously stutter, replay sections, play too far then go back and play the bit it was supposed to play etc. etc. Most of the time there was no way I could tell if the animation was timed correctly with the audio because the audio would never play through correctly until I did a final export. Also adding a music track was easy enough but it wouldn't play in preview video mode. Again, the only way I could hear how it sounded against the narration was to export the final video. These seemed like genuine bugs. It can't be just me experiencing these issues? I feel if the problems were sorted out Explaindio would be the excellent tool for video marketers it sets out to be. Right now, if it looks like the kind of software you need, I'd certainly recommend it. There's so much more it can do than I've demonstrated here including inserting video files, photos and more into your presentations. Just take the sales pitch with a grain of salt. Yes you'll be making videos easily and probably quickly too but you'll need to clock a few hours to become familiar with content, to the point where you can confidently make a video that looks professional and is exactly what you had in mind. 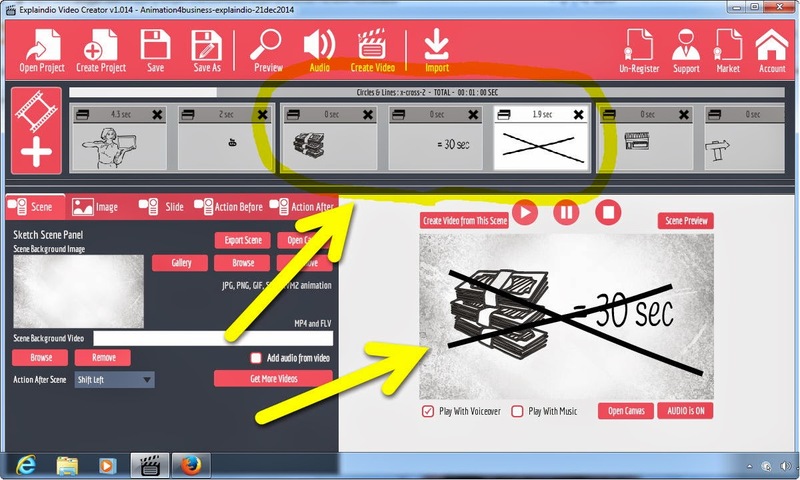 Really useful information about the video creator, I'm going to try this out in my home. thanks for this post.